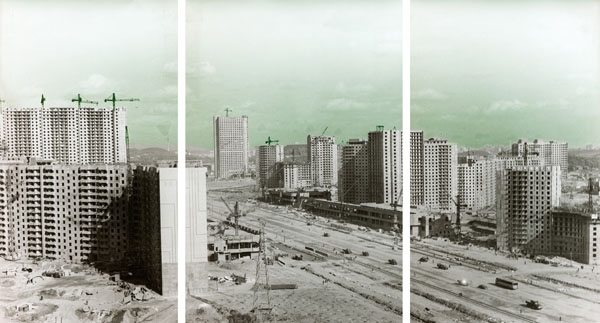 Seung Woo Back’s work focuses on demolishing the border between what is visible and invisible. Lesson / Koan : question the unquestionable. 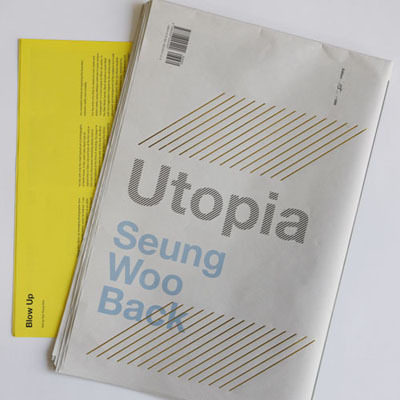 Seung Woo Back draws on the ideas and assumptions that what one sees might not be reality and what is not visible might be closer to reality – and that these two are not very different from each other. This attitude towards forms the foundation for the appearance of reality represented in Back’s Utopia portray. The images are mobilized by imagination and curiously manipulated. 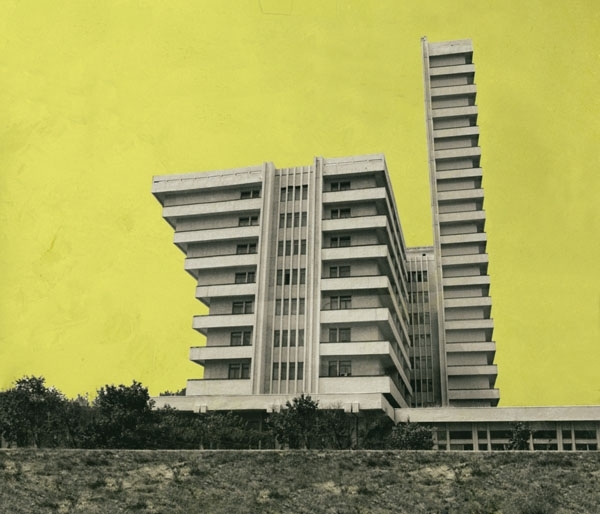 The Utopia series consists of photographs of modern buildings in North Korea in consistency with their propaganda to show the progress of the nation. However, Back applies delicate changes to the buildings or to the images. Yet one wonders if this changes anything at all. Back sometimes elongates a corner of a building by stretching it, at times he removes the middle section or he sometimes make a part of a building soar into the sky in order to give variations on otherwise rigid rectangular shapes. Back even constructs new buildings in an avant-garde manner following an architectural imagination if he dislikes the dull shape of a building. 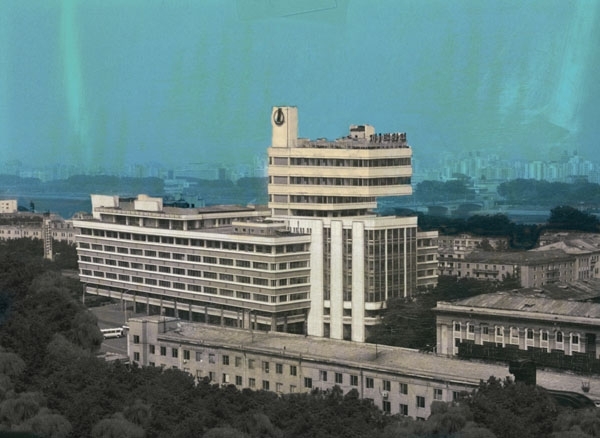 He has also applied color over the steam that rises over the factory stack and the interior of a hospital surgery – in a dark orange tint for instance. 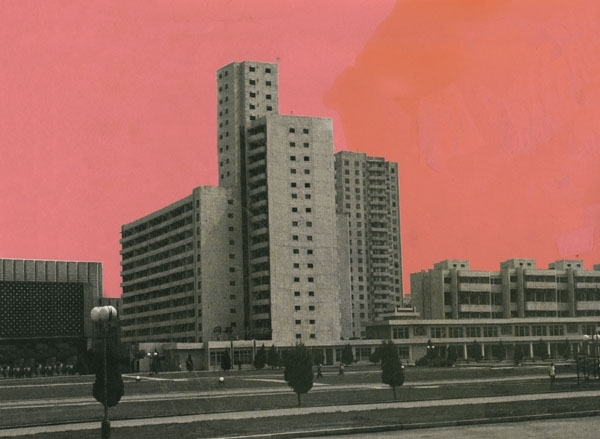 The sky of the streets lined with dull grey buildings has also been covered in red or yellow. These are the ways in which Back breaks the rules; a strategy used to deliberately twist the visual propaganda enforced in making photographs in North Korea. This method of breaking the rules is the common principle of the works in the Utopia series. 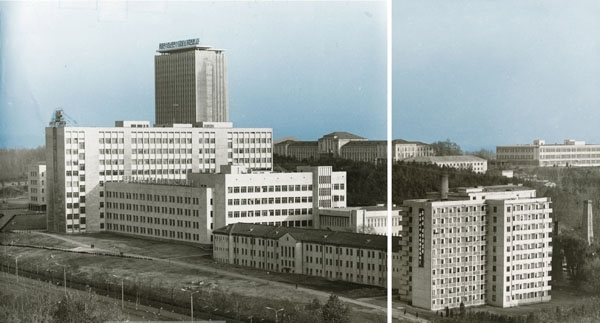 For example, by coloring the sky in a black and white photo showing ordinary grey buildings and factories or in a grey tone that seems unrealistically dark, the images create a reversion in persuasiveness of the original photos that were meant to enforce the idea: “this photograph is reality”. Thus, the world depicted in the images is essentially “no place”. The border that separates real and unreal, fact and fiction is based on the belief of the ability to recognize the two sides. If you are in need of a cost effective solution for your Duetact purchase, we are the one to provide it! We offer Duetact only for 0.43 USD! The most universal synonym for this belief is sight. What is laid out before our eyes, what we can check with our eyes – these are what give reality its axiomatic power. axiomatic |ˌaksēəˈmatik|adjective : self-evident or unquestionable.